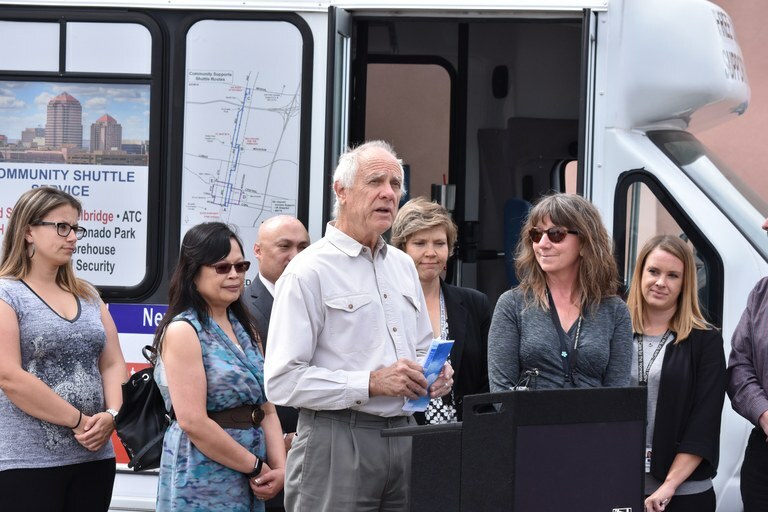 Albuquerque City Councilor Isaac Benton joined numerous community organizations today to kick off service of the Free Community Support Shuttle. New Mexico Veterans Integration Center will be operating the free shuttle that started running today. Other stops as requested can be made at Barelas and Wells Park Community Centers, Barret House, VA Hospital, MATS, and UNM Pharmacy. The shuttle is a 10 passenger vehicle and will provide a trained peer support specialist on board the shuttle to help passengers navigate their way to appointments and provide support. New Mexico Veterans Integration Center was awarded the contract by the City of Albuquerque’s Department of Family and Community Services. The project’s total cost is $175,583 and comes from the Department’s Operating Budget.